Largest FEMA Award for an Infrastructure Project after Superstorm Sandy. Albany, NY - January 11, 2014 - Governor Andrew M. Cuomo today announced that FEMA has given the state approval for its largest infrastructure award, resulting in at least 730 million in funding to repair and mitigate the Bay Park Wastewater Treatment Plant that was severely damaged during the storm. This funding will pay for full repair and state-of-the-art protection against future extreme weather for the Bay Park Plant and its pump stations and other systems. FEMA has committed at least 657 million in funding and Governor Cuomo has committed to use at least 73m in federal community development block grant funds to cover the remainder. The grant will allow Nassau County to repair and fortify this essential piece of infrastructure against future storms. The plant is the largest wastewater treatment facility in the county, treating 58 million gallons each day, and serves more than 550,000 residents which represent 40% of the population in Nassau. The facility was the largest damaged wastewater treatment plant on Long Island. Hardening and replacing the sludge dewatering equipment and building damaged during Sandy. During Sandy, engines for the plant’s main pumping system were flooded by 9 feet of water, and sewage began to back up and overflow into low-lying homes and even burst through the street in a neighborhood. The plant shut down for more than 50 hours, and about 200 million gallons of raw sewage flowed into channels and waterways. The flooding destroyed the plant’s electrical system and compromised many other critical systems. 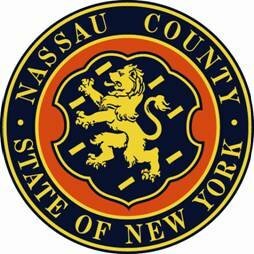 In October, to ensure Nassau County was able to move forward with urgent repairs to the Plant, Governor Cuomo announced the State would provide $455 million that would be repaid from various federal sources. Madison Square Garden Announces Billy Joel as First-Ever Music Franchise "Billy Joel at The Garden"
Subject: LongIsland.com - Your Name sent you Article details of "Governor Cuomo Announces at Least $730 Million for Nassau County to Repair and Mitigate Bay Park Wastewater Treatment Plant"